PROVINCETOWN, Mass. -- Not far down the street there has been a bloody fist fight, two men pounding each other senseless over a woman, blood on the sidewalk, the police involved, but Norman Mailer hardly hears of it, he is so engrossed in the movie he is directing. Mailer, who has had his share of fights in Provincetown and spent at least a few nights in its jail, is watching the way Ryan O'Neal puts down a telephone and turns to the window of a saloon to see a white Rolls-Royce speed down Commercial Street, the village's one-way main drag. Mailer is concerned that the car may disappear before his camera can see it. The shot is finally made to his liking, and then he sits down while the crew moves the lights for the next shot, and perhaps the bench n ext to the window feels familiar, because, he observes, "I've been coming to this bar for 40 years." He is all bundled up in a goose-down jacket too small for him and leans against the wall at an angle, his tennis shoes braced against the floor. Before he speaks six words, I recognize that he is in a good mood; he has been shooting nights and sleeping days, keeping a punishing schedule for the first three weeks of the first big-budget Hollywood movie he has ever directed, and he is not tired; the experience seems to exhilarate him. "If you are leading a life that has certain elements of risk in it, you have more energy," he explains. "I would decompose quickly in a deck chair. When I started the movie, I didn't know how good my energy was anymore, but I found it takes over everything." He explains that the happiest week of his life was spent 16 years ago when he directed the underground film "Maidstone," low-budget 1968 underground film starring Mailer's family and friends in a violent crime allegory. He believes film directing satisfies a side of his personality never touched by writing: "When you write a novel, it's all yours, but you can only use one part of yourself. When you direct, you use every last part of yourself - especially a practical side that's been frustrated all of my life. Moviemaking is a punctilious activity. In novel writing, you can get by with a lot of fire and smoke. In the movies, there is less margin for error." For years, Mailer has been fighting for the title of America's foremost man of letters, and he has a good claim with his 20 or more books, including The Naked and the Dead, Armies of the Night and The Executioner's Song. But now he wants to be a movie director, too. He is directing a thriller based on his 1984 novel Tough Guys Don't Dance, and he has a budget of some $5 million - modest by Hollywood standards, but still substantial - and a cast including Ryan O'Neal, Isabella Rossellini and a host of character actors. Cannon Films is financing the production, and Tom Luddy, who is teamed with Francis Coppola as the executive producer, observes with quiet wonder that after three weeks Mailer is on schedule and budget. Cannon is run by Menahem Golan and Yoram Globus, the Israelis who are shaking up Hollywood with the biggest production slate of any American studio. They are known for taking chances. 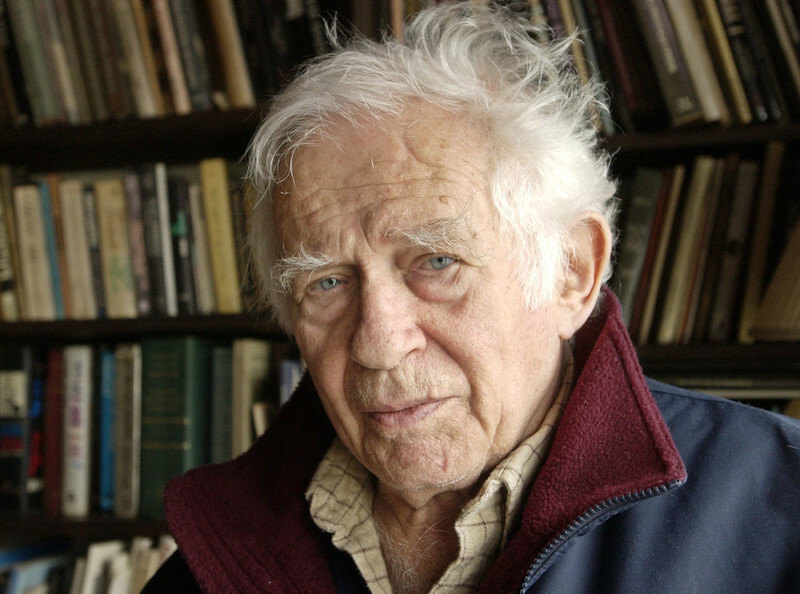 Still, you might ask, not unreasonably, why have they decided that Norman Mailer, at 63, is ready for his first try at big-time movie directing? The answer to that question lies, perhaps, in a luncheon that Golan attended two years ago at the Cannes Film Festival, where his guest was the legendary French director Jean-Luc Godard. During the course of the meal, which was long and celebratory, Golan and Godard wrote a famous contract on a napkin, a contract committing Godard to direct a new film of Shakespeare's King Lear. A few hours later, Golan unfurled the napkin for the world's press, boasting that not only would Godard direct the film, but that Norman Mailer would write the screenplay, Woody Allen would play the Fool, and so on. There were those who doubted Golan's grand announcement, but now here is Mailer directing a Cannon film. Is there any connection? "The two deals were set up together," Mailer recalls, smiling to himself. "I wrote the screenplay. Woody Allen is indeed set to play some sort of role, perhaps not the Fool. I wrote an adaptation of King Lear, a translation from Shakespeare to modern Mafia. I made Lear a Mafia lord. His name is now Don Learo, and he's an old Mafia godfather who's become demented with his power. I felt only a Mafioso would be believable, going insane as Lear does. I couldn't take a modern oil millionaire; they're as circumspect as dentists, and appallingly well-balanced. Of course, I knew that writing a screenplay for Godard is like putting a message in a bottle and sending it out to sea. But perhaps there will be traces of Don Learo in his movie." Did you simply agree to write the screenplay so that Cannon would let you direct this movie? "I had a conscience about it. I think Don Learo is worth doing. What comes through is the parallel to Lear, when passion becomes so intense, it levitates -- it lifts above reality. You can no longer measure what is sane or insane, the intensity of the passion creates a new state of being and the fun of the script was precisely translating that passion from Shakespeare's English to Mafia English. I found that it still held, that it was the equivalent of those marvelous transpositions that good mathematicians can make." Mailer actually talks this way. He has been up all night for days, and has been working for hours and has stolen this moment to sit in the corner of a favorite bar, and the words and ideas come tumbling out, connections made between Shakespeare, the Mafia and mathematics. I listen, fascinated, until I remind myself that he has not answered the question. So in other words, you agreed to write the Godard screenplay in order to get Cannon to let you direct this film? "I've been wanting to direct this film for a couple of years. At one point I was offered $43 million to make it, but then I discovered the money was coming in from people I'd never met and I didn't have a good feeling about it. I began to have the suspicion it was a laundering operation. I thought, to hell with that; it's one thing if an unknown director made a movie that way. Nobody would notice. But if I appeared with 43 million, it would demand some scrutiny." And then Menahem Golan came along? "In a funny way, he feels like family," Mailer says. "I feel as if I understand him. He is easy to caricature, because he always says what he thinks. He's shrewd, he has sound judgment. The big question is whether he will really make the move from exploitation films to serious ones. The real concern at Cannon is, they like movies brought in on budget. They hate excess expenditure. That fits in with my own ideas: America is a study in waste right now, prodigious waste and shoddy work everywhere. Hollywood is particularly wasteful. So far, we've held to our budget. I want to go on and direct more films, and that will only happen if this one is successful. If it fails, I won't get another job until another 20 years, and by then I'll be 83." And so Mailer marches out to direct another shot, this one of Ryan O'Neal running after the fleeing Rolls-Royce, while all of the bar windows on both sides of the street are jammed with fans who have come to see the movie being made. They probably are more interested in O'Neal and his wife, Farrah Fawcett, than in Mailer - who is a familiar sight on these streets. He summers here and spends much time in the winter, his favorite season for writing, when the population drops from 150,000 to 4,000 (mostly Portuguese fishermen). Mailer's novel takes place in the winter, when an alcoholic writer broods over his bourbon about the loss of his lovely blond wife. The story is set in some of Provincetown's most familiar landmarks (the hero remembers trying to climb the Pilgrim Memorial, and does his drinking in a favorite corner of the historic Red Inn) but Mailer claims the movie will be a thriller that is not much about the real Provincetown. "If you were at war and you had to pass through a town where you drank a lot," he explains, returning to his corner after the next shot is finished, "the war would be so much on your mind that the town would be incidental. This movie is not about Provincetown; it is a murder mystery, and the town gives it a certain air. If I were to make a movie about the town, it would be much slower, and have less plot, and be about two people living here in the winter. Provincetown is the last democratic town left in America. Everybody is absolutely equal here." The town, it appears, does not necessarily have the same high opinion of Mailer. The owner of one restaurant told me he hoped Provincetown came out looking better in the movie than in the book, which painted a bleak wintertime picture of lonely drunks and addicts preying on each other after a severed blond head is found hidden in the hero's secret marijuana stash. He is likely to be disappointed; Mailer has rewritten much of the plot for the screenplay, and added a cocaine scam as an important story element. "I thought, what's interesting with cocaine is that it's the door to crime for yuppies," Mailer explains, with the detachment of a sociologist. "There was a lot of worry out of Hollywood that cocaine was all used up as a movie subject, people were bored with it. But it has an allure for middle-class people, and the movie is not about drug-dealing, but about how middle-class people get led into crime. The original novel didn't have a screenplay in it - the plot concerns who gets control of a hotel - and now, for better or worse, we have a murder mystery, a horror tale, perhaps a black comedy." Will this be a "Norman Mailer Film" or just a film that you happened to have directed? "It will be three-quarters my film. It has my script, and I have a talent for working with actors. Ninety percent of what the actors do will be, if not my creation, at least with my consent." One of those actors is O'Neal, who for this role, cultivates a dissipated look, as if he had been drinking for days on end, as his character has. Mailer wonders how audiences will accept O'Neal: "They're used to seeing him in comedies. But he is a good actor - I loved him in “Barry Lyndon” - and he is quick, exceptionally witty, his choices are nimble. The fact that he is a serious actor in this film will irritate some people, but I am happy to oblige them." In casting Isabella Rossellini as a local femme fatale, Mailer changes the character to fit the actress. "In the novel, she is a truly sardonic Italian-American girl, tough and funny. But Isabella brought something else to it altogether, so I made her an Italian girl who came over here and stayed. I made her gentler and more romantic. I gave up humor and got a love story in return." I was at the Telluride Film Festival two years ago, I say, when you brought your movie "Maidstone." That didn't go so well, did it? Mailer shakes his head wonderingly. "I witnessed the death of my film," he says. "The audience left very steadily, throughout the film. Every scene lost one or two people. I was left with 40 out of 300. I could see the moments that were turning them off. "I had said before the screening that only three people in the whole world understood and loved ‘Maidstone.' After it was over, I told the famous story of Darryl Zanuck. At the wrap party for ‘The Longest Day,' he said there were only three people who could do an unassisted one-arm chin-up, and he was one of them. He started to chin himself, and got almost up to the bar, and the drums rolled, but then he could go no farther, and finally he farted loudly and dropped to the ground, and said, ‘Now there are only two people', "
I ask Mailer what he thinks about the three films made from his books: "The Naked and the Dead," "An American Dream" and "The Executioner's Song." "I didn't see ‘An American Dream.' Friends took me aside and said it would make me violent. ‘The Naked and the Dead' - Charles Laughton was going to direct it, he loved the novel, but then his ‘The Night of the Hunter' came out and failed, and that took away his enthusiasm. They got Raoul Walsh off his deathbed to direct it, and he directed his worst film, and died soon after. "Now ‘The Executioner's Song,' I thought, got better as it went on. I begged Larry Schiller (the man who supplied Mailer with the original research and transcripts of the story of convicted killer Gary Gilmore) not to direct it, but he said he had spent more time on it than I had, his life was in it, and before such passion one stands by and observes. Tommy Lee Jones was wonderful in it, even though he was all wrong for the script. He had too much energy; a man who has been in prison for 15 years is flattened out, and doesn't have much personality left. Tommy Lee was more like a biker caught on a drunken bust. But he skewed the script toward his energy, and it worked." By now it is late at night in Provincetown, halfway through a shooting schedule that will last until three or four in the morning, and yet Mailer talks on, filled with ideas, with memories. I sit at his side like a student. I remember reading his Advertisements for Myself when I was in high school and being impressed by the subtext of the book, a collection of his short fiction and journalism interspersed with autobiographical essays on how and why he came to write what he did, and be what he was. That book was one of the first documents of the New Journalism. And lurking beneath every sentence was another one which insisted that this man must be paid attention to. There was no pose of indifference in his work. he was a man who worked very hard because he thought it important to be listened to, to make his mark, to be remembered. And so now I ask him about that drive, the same drive that has led him to write 20 books, and run for office, and be married six times, and organize an international congress of writers, and direct movies, and talk so passionately into the night. "Two formative currents of personality came together to make my nature," he says, placing an emphasis on the word "my" which sounds almost musical. "One of them is being Jewish. I'm not a Holocaust hustler, I'm not asking for pity, but every Jew alive feels his relationship to the world is somehow more tenuous than other people's, and so to affirm his own existence is somehow more important. The second current was that I had a mother who spoiled me out of sight, with all that's good and bad about that, so I was accustomed to having attention paid to me, and that is probably the key to my personality. "Of course, by the time you're 63, you change a great deal. You get more serious. I have, what, 10, 15, 20 years to work? I'm a believer in the theory that we have a navigator, and this navigator receives information the conscious mind is not aware of, saying, Do this now! If I have a lot of energy while I'm doing something, I'm doing the right thing. My life's very simple that way." But does it make a difference? Is it worth writing, worth making the effort, worth carrying on at such expense of personal effort? "I think the greatest revelation one can find, is to go ahead and do something with the greatest purpose in the world, and the highest sincerity, and be dead wrong. But I cannot believe that this huge elaborate stage show of our world is bent for fire and disaster in the third act. I believe God has his or her own purpose, and may succeed or fail." Mailer wraps his arms around his sides and rocks gently back and forth on his perch, his eyes focused on the middle distance. What do you mean? I ask. . . . That God is also contending against adversaries, and faces possible defeat? "The idea of an omnipotent God leaves me apathetic, at best, and cold with anger, at worst," he says, "because if God is all-powerful, then there is a rather ugly show going on. I would rather think God is doing his or her best, against considerable adversity." Your name used to be on the front pages, I say, remembering all the headlines about Mailer's brawls, Mailer's trials, Mailer's busts, Mailer's binges, Mailer's fights with wives. Now you are on the book pages. "Well, I stopped drinking for a year and a half, and enjoyed having my system clear of the stuff. When I went back I didn't enjoy the hangovers so much, so now I drink in moderation, of all damn things." There is a certain detachment in his voice that perhaps wasn't there years ago. "A man who says he is happily married is a fool, but I will take a chance and say that I am. I stopped getting into trouble years ago. I think as you get older you make peace with who and what you are, or you grow ill. And as I grow older, there are certain narcissistic pleasures I no longer take. It doesn't help my day to see a good photograph of myself in the paper, because there are no good photographs any longer. There are such things as aging male beauties, and I'm afraid I come under that category. That's all right. I simply don't think about myself as much as I used to."